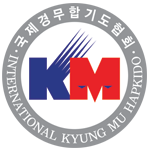 The International Kyung Mu Hapkido Association will be represented at next years World Martial Arts Festival. Every year martial arts practitioners from all disciplines come to Korea for the annual Hapkido World Championships. Interested participants can compete in Ho Shin Sul (self defense demonstrations), Kyorugi (sparring), Kyuk Pa (board breaking), and much more.